Sen. Nelson T. and May Edwards had the house built for their family in 1914. The architect is unknown but the is unmistakably Craftsman. Features include low-pitched, cross-gabled roofs; exposed rafters; deep eaves; Japanese-inspired joinery; a nearly full-width porch, and exposed wood throughout the interior. 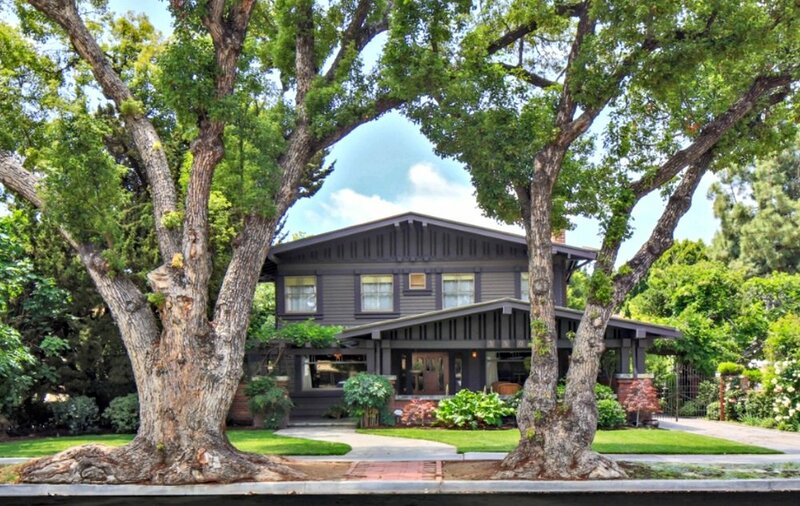 At two full stories, the house is large compared to bungalows built in the style throughout the City of Orange and Orange County at the time. Sen. and Mrs. Edwards were community builders. May Edwards was a longtime member of the Women's Club of Orange and hosted events regularly in the house. Nelson Edwards was a 50-year member of the International Order of Odd Fellows, an Orange city counselor, county supervisor, and a two-term state senator. He was in the meat retail and distribution business and a sizable landowner in the region. Today, the house is owned and stewarded by a nonprofit.